With no clear-cut favorites this year, the Kentucky Derby media poll has gone through a lot of changes since the first poll was released six weeks ago. This week, eight horses received first place votes, which is the highest number of horses to do so this late in the Kentucky Derby prep season. Next, we review recent changes to Kentucky Derby. Also, updates to the latest 2019 media poll. This week, Florida Derby winner Maximum Security vaulted into the top five after being unranked in the previous five weeks. U.S.-based Plus Que Parfait, who won the UAB Derby, also made his debut in this week’s poll. Next 10 receiving votes: Win Win Win, Signalman, Mucho Gusto, Bodexpress, Country House, Outshine, Alwaysmining, Nolo Contesto, Gray Magician, Sueno. 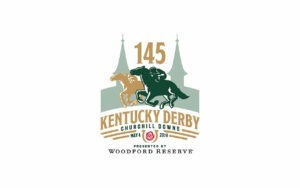 In conclusion these recent changes to Kentucky Derby will impact wagering.